At Chuck's Auto Salvage, we proudly offer more than your average auto dismantler and used parts dealer. In addition to providing these excellent services, we also provide remanufactured auto parts for daily drivers, car collectors, insurance companies and more. 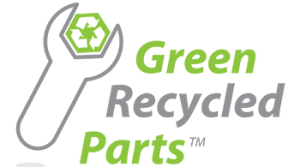 These high quality remanufactured car parts are available locally to our customers, as well as nationwide. Because wherever you are, we believe you deserve the best money can buy. Don’t spend a fortune on new car parts when you don’t need to. Instead, seek out the less expensive reman options available by Chuck's. We work side by side with a first class auto part remanufacturer and get you the parts you need in a timely manner. Also, the entire process is secured by our comprehensive quality control system and transparent warranty and core return policy. At Chuck’s Auto Salvage, we provide you with exceptional remanufactured auto parts AND offer you guidance during the installation of your new car part from Chuck’s. Use the step-by-step tips and checks listed here to ensure you install your new remanufactured auto part right the first time. If you aren’t installing the part yourself, provide your mechanic with this handy installation info. Verify the root cause of the original engine failure. Check engine assembly for shipping damage. Verify the engine ordered and the engine received is correct for the application. Read all warning tags and additional information supplied with the engine. Have shop manual available for torque, timing and other factory specifications. IMPORTANT: Check your existing auto components before beginning installation. 1) Intake manifold must be thoroughly cleaned and free of all debris. Debris such as old piston, piston ring or valve material can be trapped in the intake, plenum, and EGR system. The debris can and will be pulled into the replacement engine causing the replacement engine to fail. DO NOT GLASS BEAD, SAND BLAST OR USE ANY TYPE OF MEDIA THAT COULD GET LODGED IN THE INTAKE. 1) Check engine for interference. Rotate the crankshaft by hand a minimum of four complete revolutions before engaging the starter. Nuts, bolts, washers or other small parts that may have been dropped into the intake manifold or intake ports can severely damage replacement engine. If engine cannot be rotated by hand, inspect for foreign objects in combustion chamber. 2) Check Oil Pressure. The oil pump on this engine must be primed and the entire oiling system must be purged of air before the drive belts are installed and the engine is started. A distributor-less engine should be primed before the drive belt and spark plugs are installed. First, disable the fuel and ignition systems and crank engine in short durations until oil pressure is achieved. Second, crank engine an additional two minutes in short durations to insure the oiling system is purged of air. Fill to manufacturer’s recommended levels. Fill with proper concentration of manufacturer’s recommended coolant. Air bleed (Many late model cooling systems MUST be air bled or overheating will occur). Engines equipped with adjustable rocker assemblies must be readjusted after engine “run in”. Some vehicles are originally equipped with oil coolers which are part of the radiator assembly; others may have aftermarket coolers added to the oiling system. Regardless of design, the OIL COOLER MUST BE REPLACED or the remanufactured engine warranty will be void. Small bearing and crankshaft material cannot be entirely removed by simply flushing the cooler. If this is attempted and the original cooler is REUSED, it will contaminate the engine’s oil system, resulting in multiple engine failures. Any time you’re installing remanufactured auto parts, you need to work methodically and do your best to get it right the first time. If a mistake is made early on, it could mean hours of excess work. If you’re not comfortable with your mechanical skills, contact your local repair shop and ask if they install remanufactured parts. Search around for the shop with the best deal and experience and request their installation services. When you find a qualified engine installer, provide them with the information here. For engines, transmissions, transfer cases and other remanufactured auto parts, the core return program is designed as a one-for-one exchange program. Customers are required to return the core the same year the remanufactured auto part is purchased from Chuck’s. Also, the amount of cores returned must equal the amount of remanufactured parts purchased. Reman Return Procedure – What to do if you have a problem with your remanufactured unit. The serial number of the unit along with the year, make, model & VIN. The current mileage and mileage at the time of installation. A complete description of the problem including symptoms, codes, and all diagnostics performed. Note: we may require further diagnostic testing in order to identify the source of the problem. All parts must be returned to the factory for inspection. Call 877-877-6699 and we will issue a call tag for the parts/unit. Additionally, the parts/unit MUST be tagged with the warranty authorization number. All warranty units MUST include the return of the inline filter. Labor bills must be submitted in writing within 30 days after the repair. The claim number MUST BE on the face of the bill. Bills may be sent via fax to 484-388-5080. The Warranty Administration may authorize a repair or replacement unit if deemed necessary. A warranty claim will be created and the warranty authorization number will be communicated to the repairing shop. If the engine is replaced the warranty authorization number must be written in the space provided on the Orange Warranty Claim Tag and attached to the unit prior to return. Failure to do so may result in a significant delay in the processing of the claim or the unit being processed for core credit only (See following page for warranty claim tag information). Any credits or payments made in accordance with the warranty policy will be issued to the installation facility. Serial number of the engine. Part number of engine or component. Date and mileage at the time of installation. Make, model, year, vehicle identification number and license plate number. Description of problem that you are having with the reman engine or component. Diagnostic time will only be covered if instructed by the customer service department. Reman engines, components or parts found to be defective must be returned to the Remanufacturer for failure analysis or claim will be denied. Any remanufactured engines, components, or repair parts must be submitted with appropriate paperwork and authorization number to insure payment. Original sales ticket and repair order. Current sales ticket and repair order. Sales tickets for any parts purchased to complete repairs or replacements. All service and maintenance records. Please retain a copy of the paperwork and authorization for future reference. CLAIMS NOT SUBMITTED WITHIN 30 DAYS WILL BE VOID. *All parts and labor payments subject to approval upon inspection of remanufactured engine, component, or parts by the Remanufacturer.